Brexit: what solutions for British owners of .EU domain names? The massive rejection of the Brexit draft agreement by the British parliament is embarrassing many British companies. 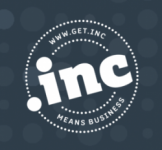 The issue of eligibility for certain top-level domains is one of many others. When the United Kingdom (UK) will no longer be a member of the European Union (EU), British natural and legal persons will no longer be eligible for registration of .EU domain names. The question is not insignificant. According to the latest statistics available on the Eurid website (the .EU register), the United Kingdom is ranked 4th in terms of .EU domain name holders (304 133, which is about 10% of the total .EU domain names: Eurid Quarterly Update Q2 2018 Progress Report). (iii) natural person resident within the Community“. 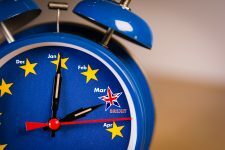 On March 28, 2018, the European Commission clarified the consequences of Brexit (iptwins.com, May 15, 2018). 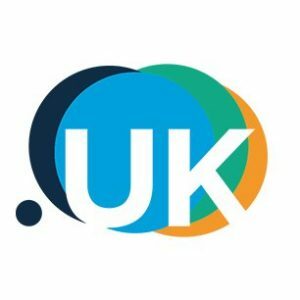 On this occasion, the Commission recalled that “Subject to any transitional arrangement that may be contained in a possible withdrawal agreement, the EU regulatory framework for the .EU Top Level Domains will no longer apply to the United Kingdom as from the withdrawal date“, i.e. March 29, 2019. Clearly, Eurid will revoke these domain names. Recently, it seems that the British have been optimistic about the chances of finding an agreement on .EU domain names. Indeed, given the question of eligibility, one might have imagined that the number of .EUs held by the British would have started to decline due to drop-outs and non-renewals. The quarterly statistics published by Eurid indicate, on the contrary, that the registrations have continued to increase during 2018.
first, transferring the domain names to an eligible third party, temporarily and without transferring the right of ownership, in the hope of an agreement between the United Kingdom and the European Union or in the case where the .EU reform project would extend the scope of eligibility for .EU domain names to include those located in U.K. (which is not likely to happen), which obviously requires a contract guaranteeing the rights of the domain name holder, the obligations of the agent, and the fate of the domain name(s) if one or the other of these two events does not occur. in any case, registering domain names under other top-level domains. The revocation operation by Eurid should offer eligible third parties thousands of available domain names. On this occasion, brand owners will have to stay alert, the risk of cybersquatting not being zero. Finally, remember that the .EU is not the only one to raise eligibility problems (iptwins.com, 1st August 2018).